Fairbanks Morse - an EnPro Industries company and leading provider of solutions that are powering the world forward - has been awarded a $17.3 million multi-year services contract by Military Sealift Command (MSC), which services U.S. military ships at sea. The agreement covers all MSC vessels with Fairbanks Morse engines and is one of the largest services contracts from the U.S. Navy in the company’s history. The engine models covered in the agreement include the FM | MAN 48/60, FM | ALCO 251F, FM | Colt-Pielstick PC4.2, and Fairbanks Morse 38D 8-1/8 that are installed on the following class vessels: AS (Submarine Tender), T-AKE (Dry Cargo/Ammunition), T-AO (Fleet Replenishment Oiler), T-ESB (Expeditionary Mobile Base), and T-ESD (Expeditionary Transfer Dock). 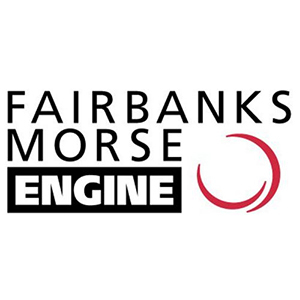 Fairbanks Morse OEM authorized technical field service representatives will provide support services to overhaul, upgrade, and perform preventative maintenance of engine systems including scheduled overhauls at 10,000 - 12,000, 15,000 – 20,000, 30,000 – 40,000, and 60,000 – 80,000 operating hours. Fairbanks Morse Factory Certified Technicians undergo the industry’s most rigorous qualifications for earning and maintaining certification to set the standard service for excellence. OEM replacement parts from Fairbanks Morse deliver top performance and service life to ensure the highest level of reliability. Fairbanks Morse provides best-in-class support for everything from routine maintenance to unexpected field service and delivers unprecedented engine operation and efficiency.